Graphics on mobile devices is becoming popular because untethered computing is convenient and makes workers more productive. Mobile displays have a wide range of resolutions that affect the scene Level-of-Detail (LoD) that users can perceive: smaller displays show less detail, therefore lower resolution meshes and textures are acceptable. Mobile devices frequently have limited battery energy, low memory and disk space. To minimize wasting limited system resources, the authors render mobile graphics scenes at the lowest LoD at which users do not perceive distortion due to simplification. This is called LoD the Point of Imperceptibility (PoI). Increasing the mesh or texture resolution beyond the PoI wastes valuable system resources without increasing perceivable visual realism. The authors propose a perceptual metric that can easily be evaluated to identify the LoD corresponding to a target mobile display’s PoI and accounts for object geometry, lighting and shading. Previous work did not directly compute changes in the PoI due to target screen resolution. The perceptual metric generates a screen-dependent Pareto distribution with a knee point that corresponds to the PoI. We employ wavelets for simplification, which gives direct access to the mesh undulation frequency that we then use to parameterize the CSF curve. Graphics on mobile devices is becoming popular because untethered computing is convenient and increases productivity. On-site consultants, such as architects, can use graphics on cell phones and PDAs to visually enhance discussions of preliminary designs with clients. Surgeons treating soldiers in war regions can play back animations of rare procedures they had forgotten. Other examples of emerging mobile graphics applications include telesurgery, portable educational animations, virtual product catalogs, and mobile games. 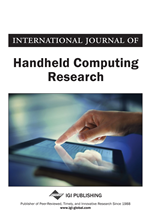 Rich mobile graphics applications are now feasible because on a per-pixel basis, mobile devices now have comparable computing power to desktop computers (Pulli et al., 2005). Our work focuses on a typical mobile graphics scenario shown in Figure 1. Very high resolution graphics meshes and textures are stored on a server, and then simplified when requested by a mobile client. Meshes and textures are simplified on mobile devices for several reasons. First, mobile devices have limited battery energy, memory and disk space and lower resolution meshes and textures consume less of these scarce system resources. Secondly, increasing mesh and texture resolutions generally increases visual realism. However, above a certain Level-of-Detail (LoD), users cannot perceive these increases in mesh and texture resolution. We call this LoD the Point of Imperceptibility (PoI). Essentially, increasing LoD above the PoI wastes mobile resources since users cannot perceive improvements in image quality. In order to minimize wasting mobile resources, a mobile client should render meshes and textures that are as close as possible to its PoI. Our preliminary experiments showed that the level of detail users can perceive depends on the screen size: smaller screens show less detail and hence had a lower PoI. For instance, we found that for a given mesh, a laptop’s display had a PoI of 20K faces, while a cell phone’s PoI was 5K faces for the same mesh. This represents a 4x change in the acceptable LoD level based on screen size. Previous work has neglected to directly relate selected LoD levels with target screen size. Other factors such as distance of the rendered object from the screen, object details and whether the user zooms in all affect the perceptibility of simplification artifacts. However, we focus primarily on how PoI changes with screen resolution. In the scenario in Figure 1, we need metrics that enable the server to compute the PoI that corresponds to a mobile device’s screen size. Since so many different mobile display resolutions exist, experimentally determining PoI for each mobile display resolution would be impractical. Thus, we would prefer a closed form expression that can be easily computed on-the-fly to determine PoI. Walkthrough applications that are dynamically scaled down for mobile clients would benefit from a PoI metric. Follow-me applications graphics applications (Wang et al., 2004) in mobile environments are another class of applications that emphasize the need for a PoI that can be quickly computed based on screen resolution. In follow-me mobile applications, mobile users physically move between mobile devices but can access the same applications using these devices from different locations. The server would need to easily compute the PoI of the user’s current device and then transmit graphics files that correspond to the PoI of that mobile display’s resolution. We adopt wavelet-based multiresolution analysis for simplification because in addition to facilitating simplification, wavelets also achieve extremely aggressive compression ratios that are suitable for ultra-low bandwidth wireless links such as wide-area cellular phone networks.